July is not the time to be cooking big meals here in North Carolina. In fact, it’s best not to be cooking at all, if you can help it. It is hot, hot, hot here, and cold salads are a great way to get a healthy, refreshing meal while using all those wonderful vegetables from the farmer’s market. 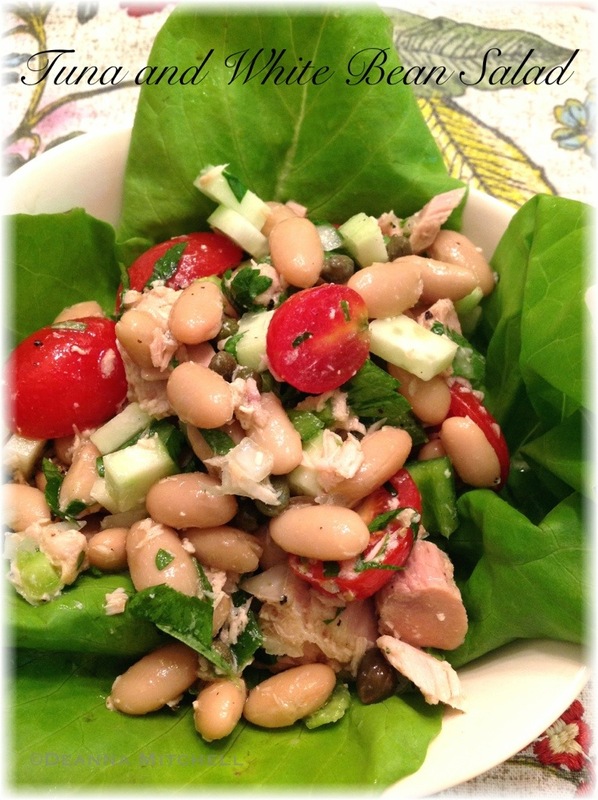 This tuna and white bean salad uses canned, organic cannellini beans (look for a BPA-free can), but you could also cook some dried beans (that would require using the stove, so you decide what works for you). We are also using some sustainable, water packed tuna from Wild Planet. Wild Planet was a vendor at the recent Esprit de She race, and I scored some free samples after the race (sometimes it pays to finish later!). This salad is light, nourishing and delicious–very fresh for summer! 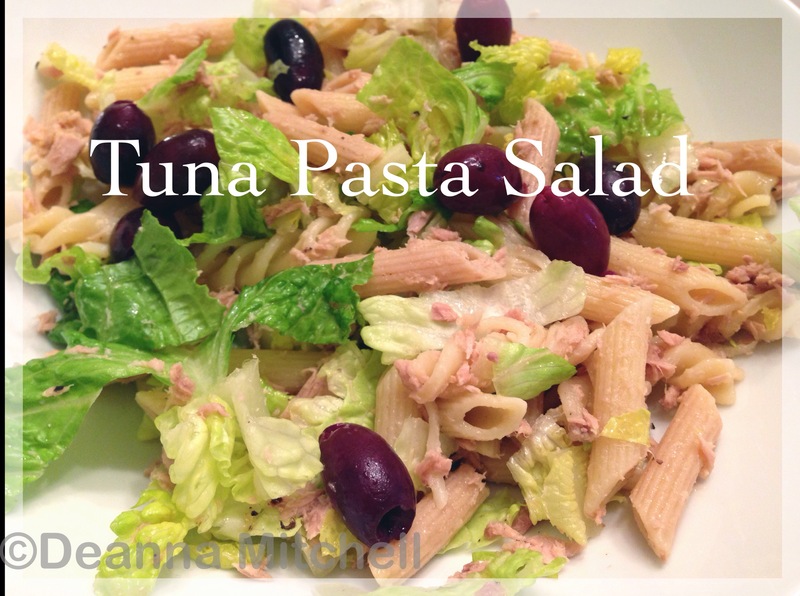 Combine all ingredients except lettuce in a large mixing bowl and mix well. Cover and keep refrigerated at least one hour, to let flavors come together. Arrange lettuce leaves in serving bowls or plates. Scoop salad onto lettuce and serve.